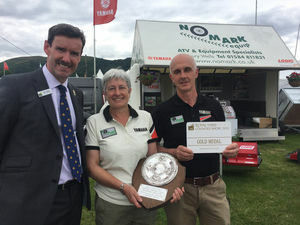 We were delighted to receive a Gold award for the best Agricultural trade stand at this years Royal Three Counties Show. 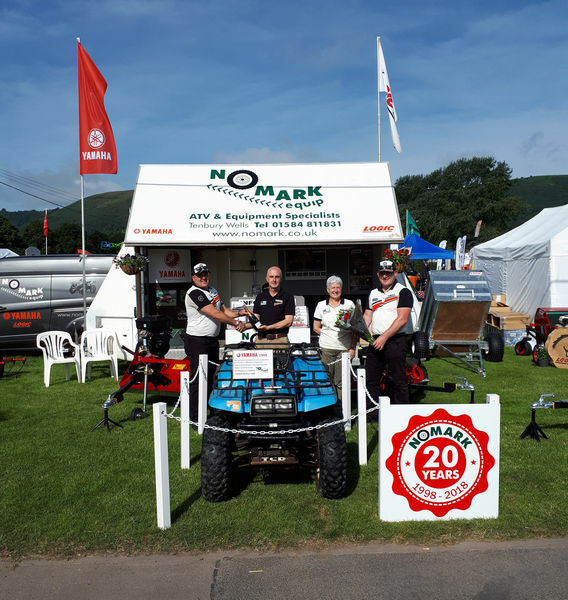 It was particularly fitting as 2018 is our 20th Anniversary since we formed Nomark Equip and 30 years since we first started selling Yamaha products. The picture shows Anne and Mark receiving a bottle of Champagne and flowers from Yamaha,s William Kay and Carl Stuart to celebrate and the gold award being presented by the CEO of the Three Counties Showground Mr Ken Nottage.